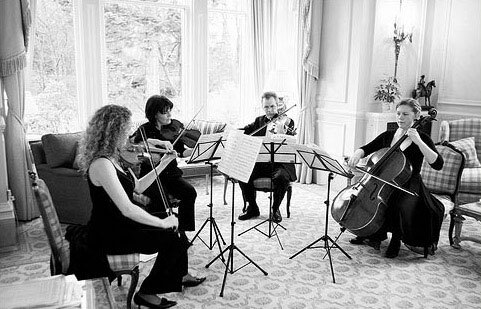 This string quartet consists of performers of the highest caliber and has many years of experience playing for weddings and special occasions. 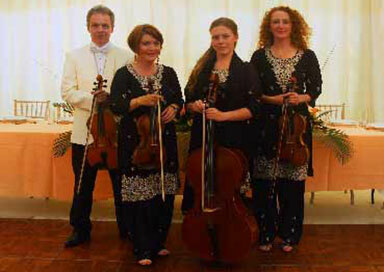 All the members of the quartet including extra players are full time professional musicians. 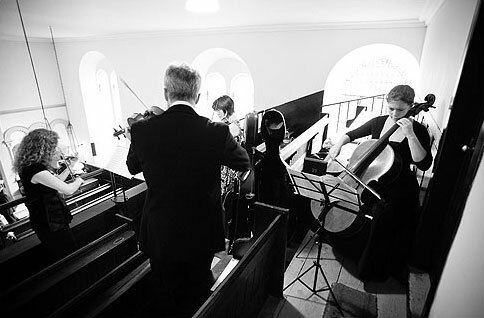 The members of the quartet have played individually with many of the major British symphony orchestras including the BBC Scottish Symphony Orchestra, the Royal Scottish National Orchestra, the London Philharmonic Orchestra and the Royal Liverpool Philharmonic Orchestra. We have also performed as part of the orchestra with many international soloists including Jose Carreras, Vanessa May and Lesley Garrett. As well as a classical music background, members of the quartet have toured with Led Zeppelin and played for the west end show ‘The Phantom of the Opera’. This versatile group of musicians has played for weddings and given recitals at many of the Scottish castles including Duart Castle on the Isle of Mull and Eilean Donan Castle , featured in the film 'Highlander'. 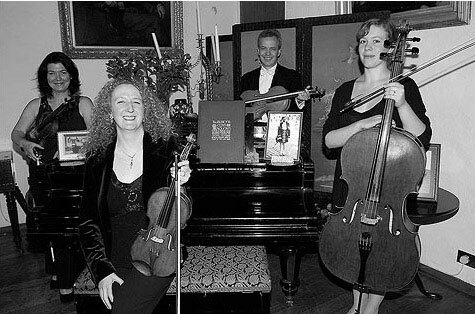 Other engagements undertaken by members of the quartet include entertainment for 1st class as guests of Cunard aboard the QE2, playing at the Cannes Film Festival, and providing music for an opening event attended by HRH Princess Anne. Above is just a selection of hymns we can accompany. We can accompany any hymn of your choice on request. Have Ye Seen Aught O' Ma Bonnie Lad?